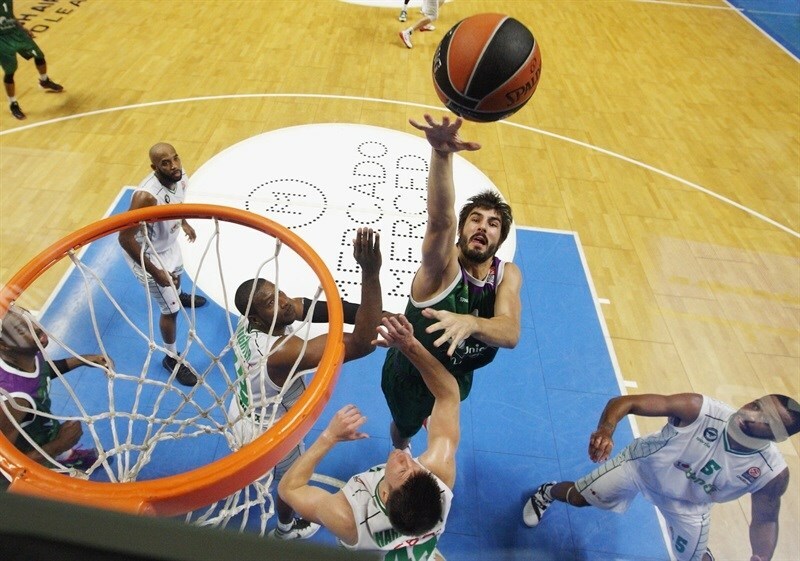 Unicaja Malaga raised its record to 3-0 for just the second time this century with a resounding 81-69 home win Friday against Darussafaka Dogus Istanbul. 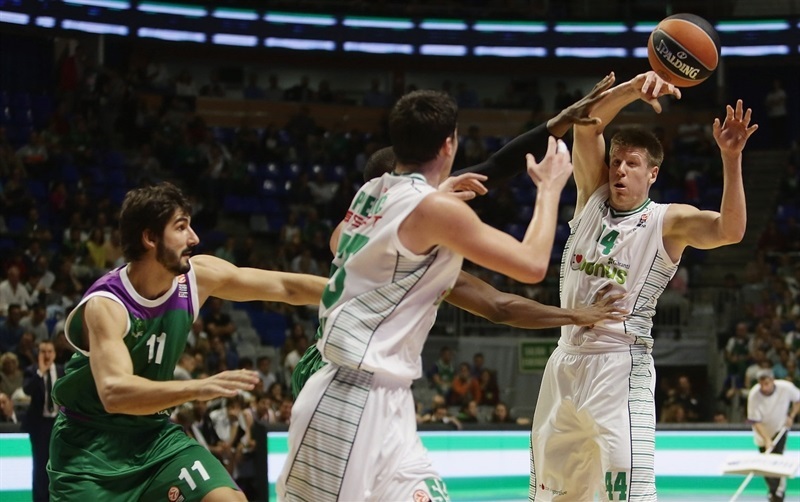 Unicaja is now tied at the top of Group D with CSKA Moscow, two of just three unbeaten teams left in the Euroleague. 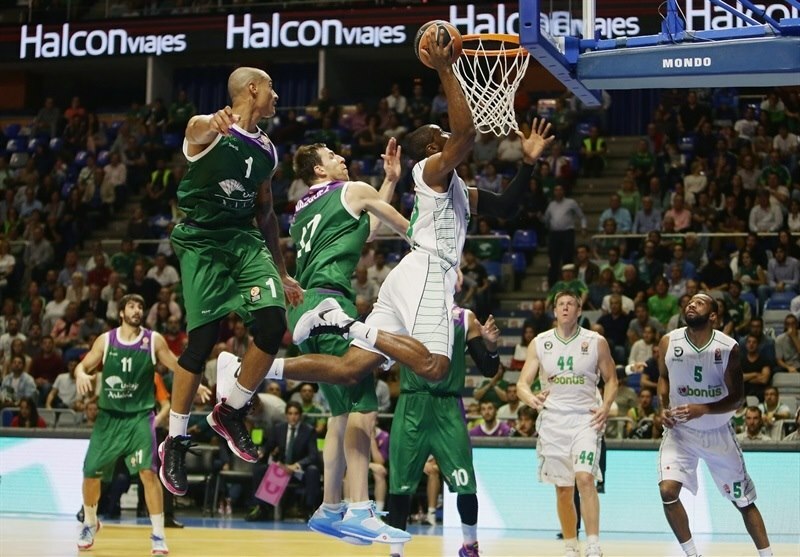 Unicaja's best start was when it won the first five games of the 2009-10 season. 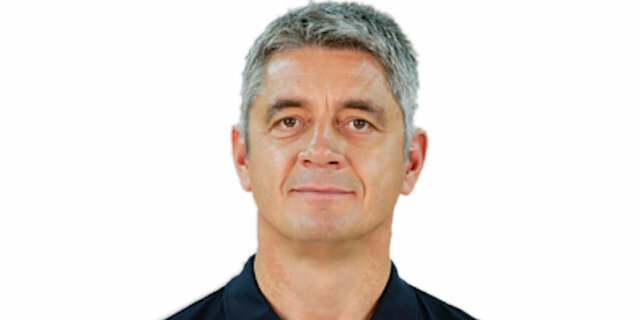 Unicaja broke open the game when Edwin Jackson and Dani Diez shared 5 three-pointers in the second quarter, after their team had missed its first five attempts from arc. They fueled a 44-37 halftime lead and the hosts did not trail the rest of the way. Jackson led his team with 18 points while Mindaugas Kuzminskas added 12, Will Thomas 11, Richard Hendrix 10 and Fran Vazquez 10 each. 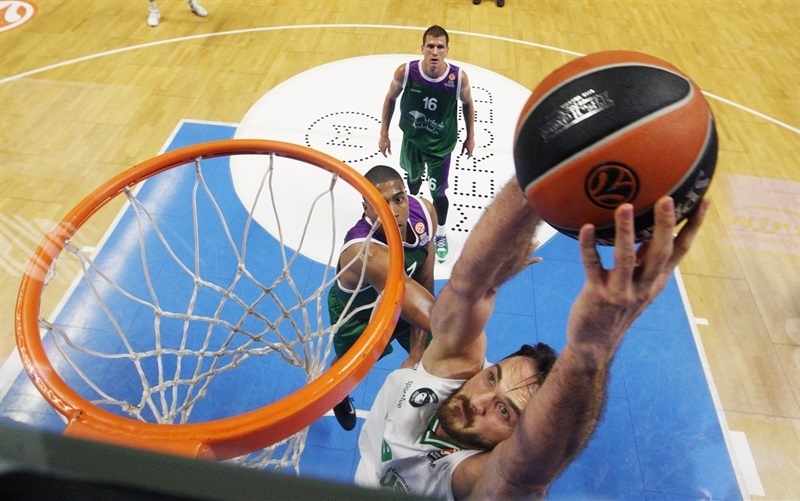 Semih Erden topped Darussafaka with 17 points and 9 rebounds. Jamon Gordon added 12, Luke Harangody 11 and Milko Bjelica 10 for the visitors, whose record dropped to 1-2. Unicaja enjoyed a 24-13 edge in assists, with Stefan Markovic dishing 9 without a single turnover while playing 25 minutes, the most for the winners. Free throws by Carlos Suarez opened the scoring before he fed Kuzminskas for a backdoor dunk at 4-0. Harangody dropped a strong hook shot that Hendrix answered with a power move. 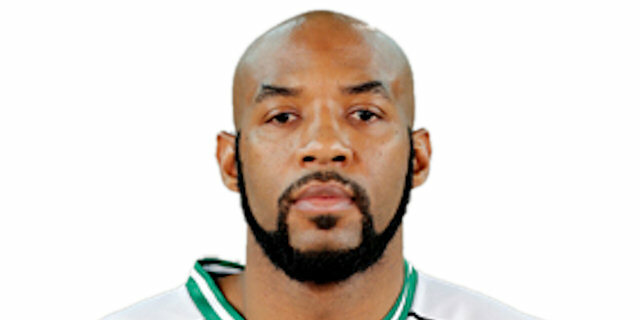 Gordon made a nice drive and Erden tipped in a miss as Darussafaka forged a 6-6 tie. Manuchar Markoishvili was nearly knocked out in an accidental collision then promptly buried a three-pointer for the visitors' first lead. Hendrix fed Jamar Smith for a backdoor layup but Emir Preldzic was ready with another triple for Darussafaka. Kuzminskas went off the glass to cut the difference then blew by the entire Darussafaka defense for a jam to tie it up again, 12-12. Erden stepped through for a go-ahead dunk that Nemanja Nedovic matched with a jumper at 14-14. 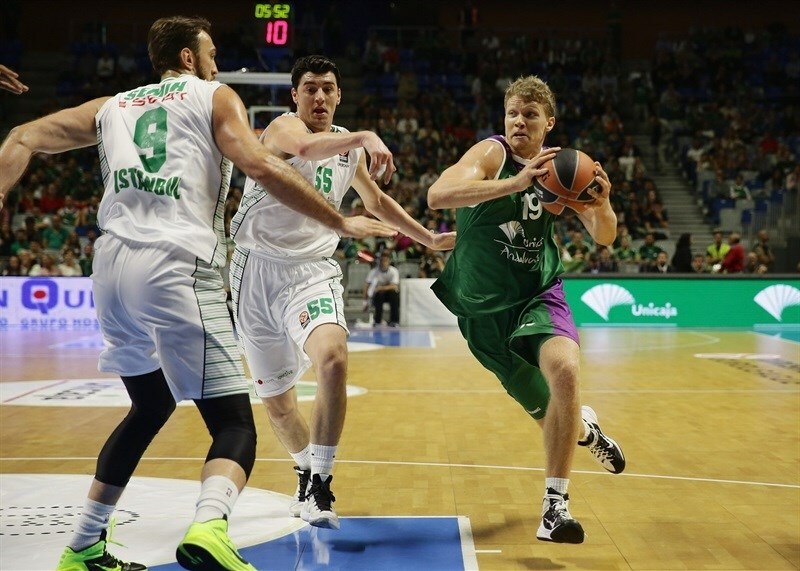 Harangody broke that tie with a three-pointer from the corner and Erden added a free throw to Darussafaka's lead. Fran Vazquez hit a nifty reverse, but Erden's put-back finished the quarter with the visitors in charge, 16-20. 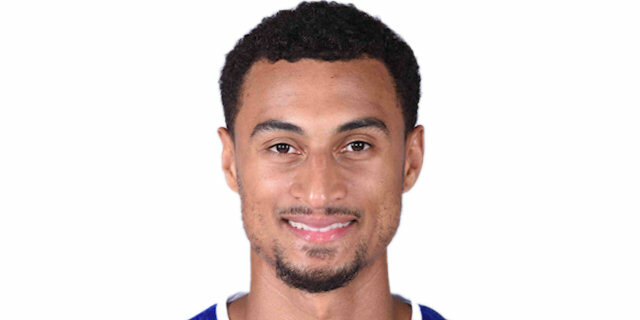 Jackson drove for a scoop shot to get Unicaja closer to start the second quarter. Then, after free throws by Erden, Jackson drilled Unicaja's first triple after 5 misses to get the hosts within 26-22. Vazquez did the honors of taking back the lead for Unicaja when he guided in an alley-oop pass, while Jackson was ready to add to it with his second triple. Harangody 's reverse was answered by Vazquez slamming the next alley-oop that came his way. 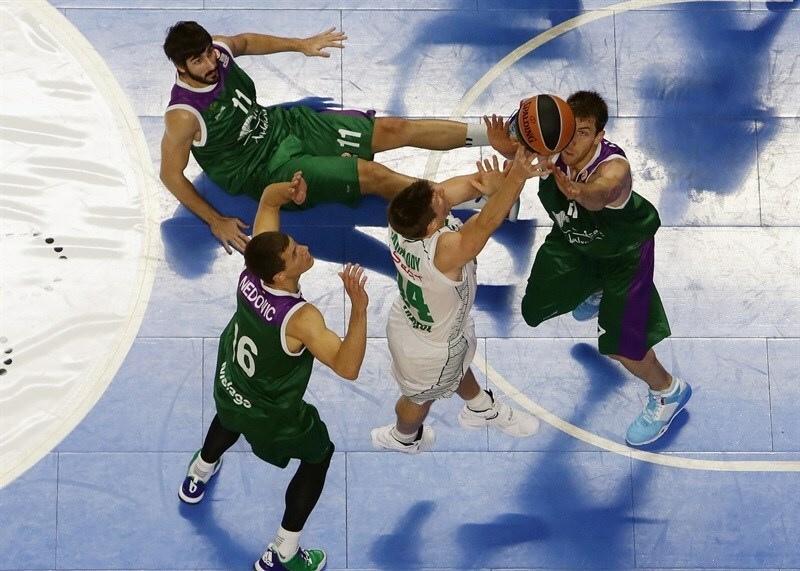 And when Erden dropped a hook shot, Diez came off Unicaja's bench to bury his own triple at 31-26. Marcus Slaughter fed Gordon for an open three-pointer, but Diez had the response with his second in a row. Reggie Redding entered Darussafaka's scoring column with 3 perfect free throws, as Will Thomas did for Unicaja with 2 from the line at 36-31. Gordon's inside basket was met by Jackson's third triple, and Unicaja's fifth without a miss in the quarter, this one from almost half court to beat the shot clock and make it 39-33. Bjelica stepped up with a big three for the guests. Jackson turned to passer to send Thomas ahead for a dunk. Marcus Slaughter got a point back at the free throw line before Unicaja had the last word of the half as Suarez inbounded with 1.1 seconds left to Diez for long pass and layup to put the hosts up 44-37. After the break, Darussafaka went back inside to Erden and got 2 free throws out of it. Unicaja had it easier, however, as Hendrix scored easily on a lob, Kuzminskas did so in transition and Markovic finished a fastbreak started with a steal by Smith. Suddenly , the hosts had the game's first double-digit lead, 50-39. Out of a timeout, Bjelica lifted Darussafaka with a nice fastbreak finish and then got a pass from Markoishvili for another layup. Kuzminskas added free throws at 52-43, but Bjelica was feeling it and stepped outside for his second triple. Suarez turned an offensive rebound to an assist of a dunk by Hendrix and then Kuzminskas scored in deep as the Unicaja lead swelled to 10 again, 56-46. Preldzic passed out of a double-team for a dunk by Erden, but Unicaja answered with a Markovic-to-Vazquez combo at the other end. Preldzic made a free throw and then drove for a difficult layup to cut the difference to 58-51. Redding tipped in a miss between Jackson's sweet runner and pair of free throws that made it 62-53. 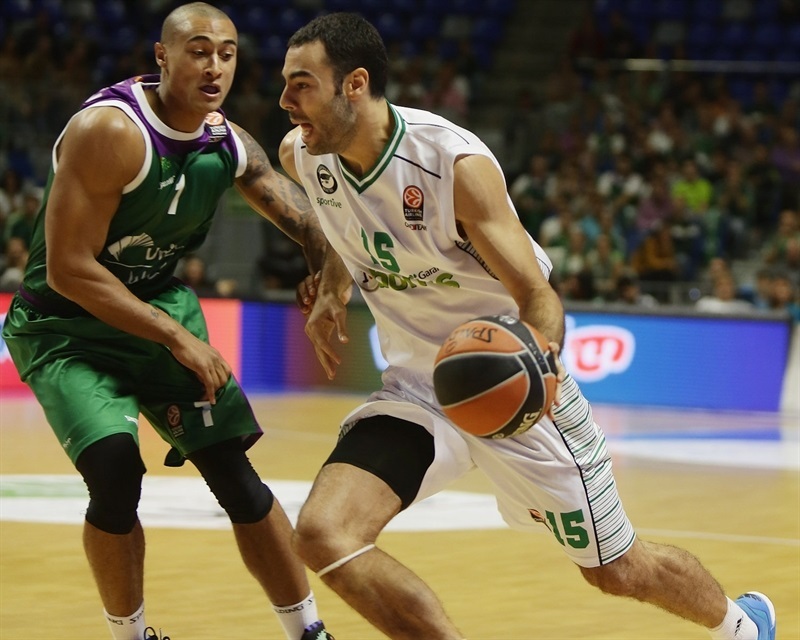 Vazquez made his fifth shot without a miss as Unicaja restored its 11-point lead at 64-53 after three quarters. Thomas detonated a put-back dunk to open the fourth quarter. After Markoishvili drilled a two-point jumper, Nedovic bettered him from the corner and Jackson made 3 of 3 free throws as the lead soared to 72-56 for the hosts. There the scoring stalled until Erden made a second-chance basket. Redding's free throw and Gordon's double-clutch three-pointer cut the difference to 72-62,. Thomas faded for a jumper and Harangody hit a long two-pointer, but that would be as close as Darussafaka would get in the final quarter. 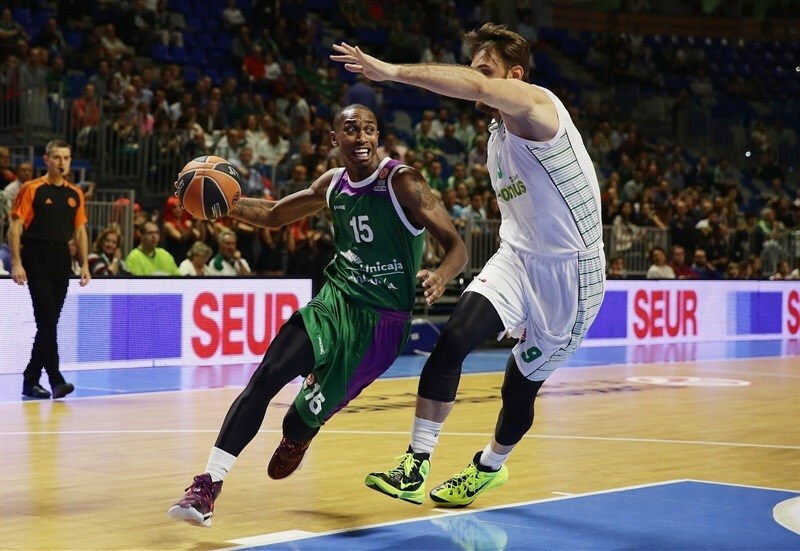 Thomas promptly fired a strike from the arc and Unicaja had its biggest lead yet, 77-64. Gordon got a couple points back at the free throw line, but with 3 minutes left, the visitors were fighting the clock, too. 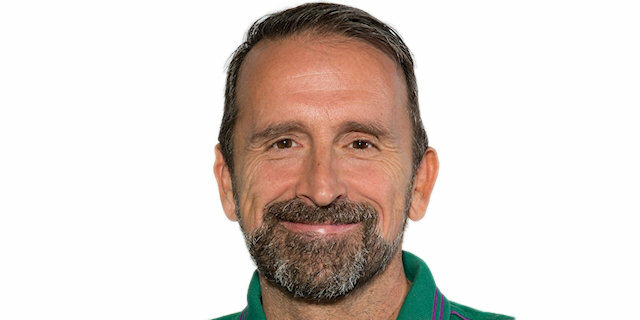 And when Markovic found Hendrix on the pick-and-roll to make it 81-66, the handwriting was on the wall, and it said that Unicaja would go 3-0 for its second-best start in the Euroleague this century. "I think we were more consistent in all aspects of the game. We tried to play more inside-outside. They were depending a lot on Erden in the first two quarters, scoring everything that he does on the low post. I think we combined and had the better balance, inside-outside, on the points." "I have to compliment the Unicaja for this victory.. We have never been out of the game but whenever we approached, we made some mistakes. When you make mistakes against teams such as Unicaja, you pay dearly. They have been very successful and took advantage of our mistakes to keep the lead. But nothing happens, life goes on. We have to keep working and training hard. We have still many games left and we have to face them with confidence." "I am very happy that we have started with three wins in the competition. We have to keep fixing some bugs but we have ensured that the opposing team scored few points. We are building a defensive identity and we are enjoying ourselves a lot on the court with this way of playing. The coach has given me confidence. This week I have trained hard and I came out more aggressive." "They've played a great match. The game was very competitive. We have been fighting until the end to get closer on the scoreboard, but we have not succeeded. Despite the defeat, we played well. They have done many things that we wanted to do. They have confidence. Now we have to think of the games ahead of us."